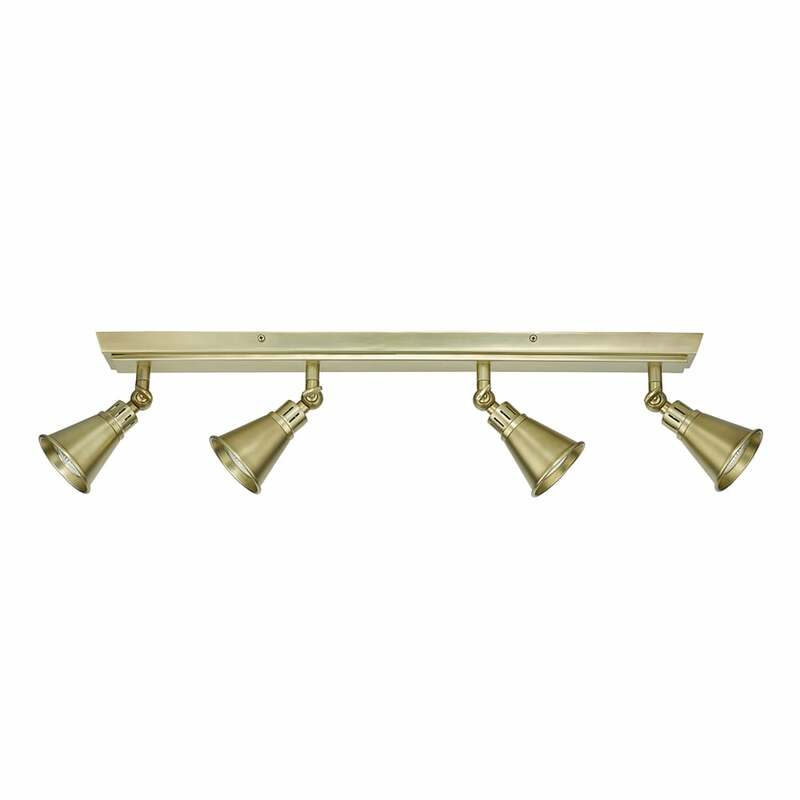 Dar Lighting Edo 4 light ceiling bar spotlight fitting features a slim bar back plate that supports a four cone shaped adjustable spotlight heads, in antique brass finish with vintage tap detailing. The antique brass finish is the perfect compliment to this iconic, industrial design and the vintage tap detailing adds to the look, making this a perfect choice for both modern and traditional surroundings. Especially suitable for rooms with low ceilings. This product code is EDO8475. Please see our website for the matching single wall fixture and 3 light ceiling plate, which can be utilised to create a co-ordinated look throughout your home.